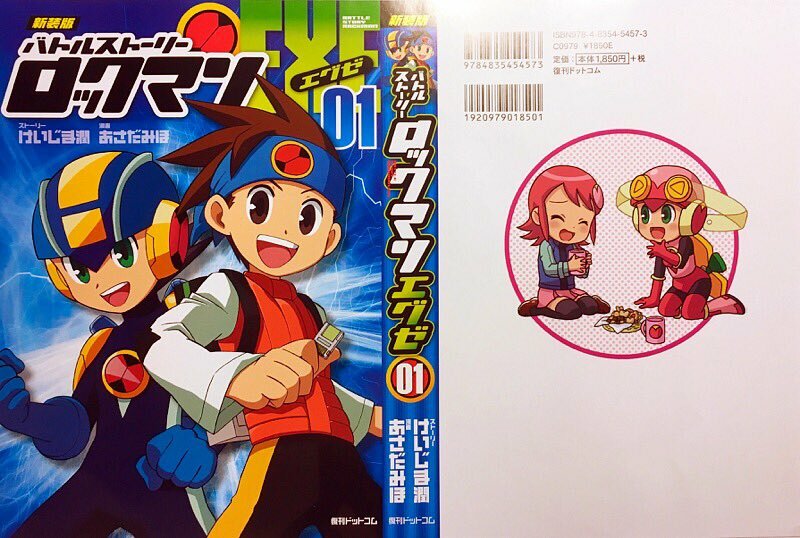 Miho Asada's Battle Story: Rockman EXE manga is due for a three-volume reprint in Japan this Spring. To tide fans over until then, Asada took to Twitter to show off the new front and back cover art for the first volume. How cute! I love it, I hope that CDjapan put this manga in sale soon. Talking about manga, don't forget visit: http://mangasrockmantraducidos.blogspot.pe/ I currently translated the Ikehara's Rockman manga series. Yes, maybe this can be considered spam. Any chance of an English translation?